Tools of the trade extend beyond fence pliers for Big Timber, Montana, ranchers and Angus producers Betsy and Roger Indreland. A worn green backpack pulled from the back seat of their truck yields a curious array of items: a garlic press, thermometer, refractometer, and soil probe—devices a bit out of place for a rangeland check. Each measurement these tools produce helps the Indrelands evaluate progress made transferring carbon from the atmosphere back to their soils where it’s sorely needed. 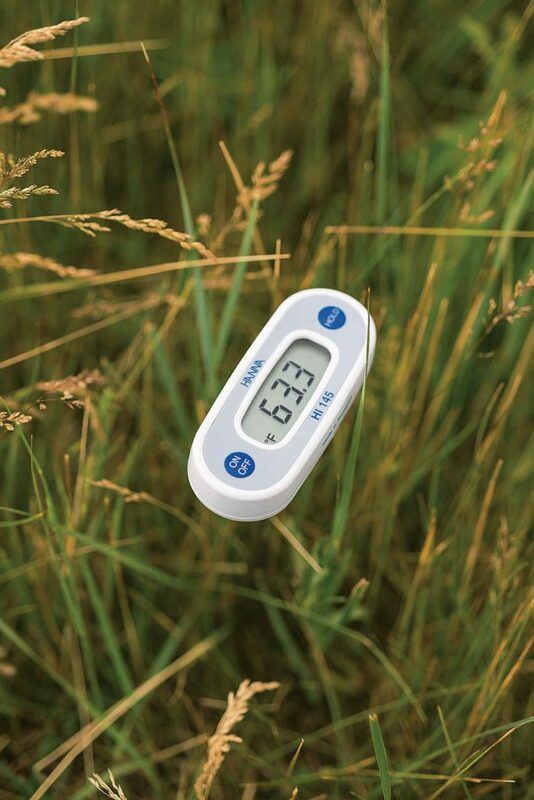 Soil temperature is moderate, plant sugars are high, and the soil probe meets little resistance, all signs of a healthy system built on carbon deposited in the soil through root exudates. “Think of carbon as the soil’s bank and hospital,” says soil ecologist Nicole Masters, Integrity Soils. Each 1 percent of soil organic matter (carbon) holds 27,000 gallons of water per acre at one time, and can cycle through up to 71,000 gallons over a year. Carbon holds nutrients, and soil carbon—not soil cover—is largely responsible for moderating soil temperatures. The soil structure it helps build speeds water infiltration and promotes soil life. It’s critical, and it’s missing. Roger and Betsy Indreland test their forage for sugar content. Plants high in sugars are slower to freeze, resulting in a longer growing season. “Much grazing land throughout the world is degraded or highly degraded,” Masters says. If 30 to 60 percent of a bank account vanished it would be hard to continue as if nothing happened and make no effort to replace it; yet that’s what many graziers have historically done in the case of carbon. A healthy soil and forage ecosystem, Betsy adds, helps their family’s current and long term stability, but also benefits their community. Healthy soils absorb more water, protecting against flooding and erosion. They also increase wildlife diversity for everyone’s enjoyment, and a profitable ranch can help keep more people and business in their small town. To the root. Their journey to restoration started when they shifted their livestock operation to depend more on grazing and less on harvested feed. They switched to intensive grazing with long rest periods and adjusted calving dates to better align livestock needs with forage quality peaks. These adjustments have bare patches filling in, plant and insect diversity returning, and production increasing. But soon their research brought them to Masters and deep into their soil profile for solutions. They tested soils and plant tissues looking for clues. Unlike cropped soils, rangeland and pasture soils are largely ignored for decades, even centuries, expected to continue producing without input year after year. Soils get sleepy, Masters says, and stop working. Forage production declines. Carbon holds nutrients, and soil carbon—not soil cover—is largely responsible for moderating soil temperatures. Testing revealed boron and manganese—critical micronutrients for plant growth, metabolism and reproduction—were severely lacking and soil biology was minimal. They opted to reboot some degraded irrigated pastures with an application of boron, manganese, fish oil, and humic acid. Supplied with those essential components, their soils stirred from slumber. 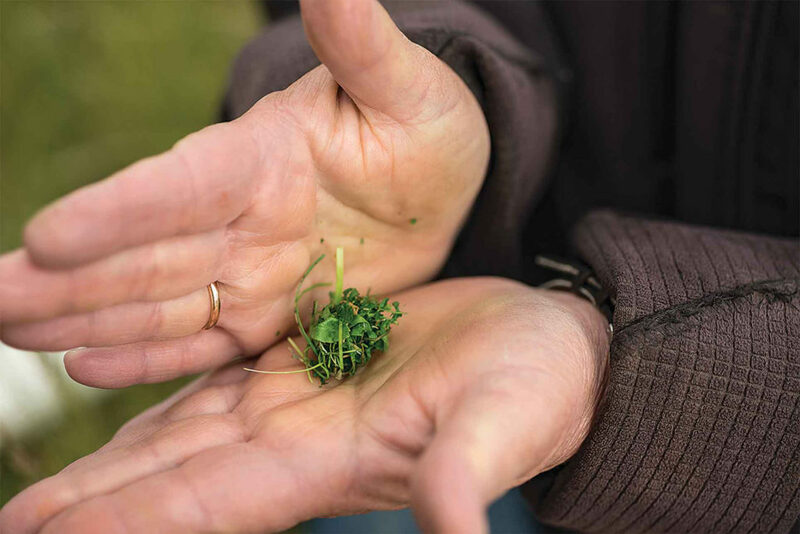 Forage protein jumped from 22 to 30%, feed value increased more than 40%, and they produced 1/2-ton more per acre. “Basically, they gained 30% more feed in terms of quality plus another 1/2 ton in volume so they can feed 30% more animals on that pasture,” Masters says.